Your churn rate is the amount of customers or subscribers who cut ties with your service or company during a given time period. Clearly, churn is not a good thing. Given that it is not a good thing, companies spend time developing strategies to try to reduce churn. These strategies and the implementation of them constitute what we refer to as churn management. maximize firm’s profits by targeting customers who are most likely to churn. Lemmens and Gupta, in the course of their essay, devise a highly scientific approach to use efficient churn management to boost profits by 115%. Account Churn- Where the customer is completely lost and is no longer using or paying for the service. Product Churn- Where the customer has lowered their subscription profile but remains a paying user. Decreased Spend- Where the customer has reduced their spending without changing their subscription profile, like sending less emails through a transactional email service. These three broad categories present different levels of risk. They can also represent the lifecycle of a churning customer, depending on your product and payment system. Decreased spend, or decreased activity, can be seen as an early indicator of a customer nearing a churning point. These trends are reflected around the world in the telecoms industry and other structurally similar sectors like credit card usage, according to Forbes. Different players in the market continue to offer new deals and services to customers to pry them away from their competitors. With the telecoms industry we see customers being tied into contracts and then often churning at the end of these contracts. How to keep them onboard for a further contracted period has become a huge motivator for increasing profit as it has been typical knowledge that retaining existing customers is cheaper than acquiring new ones. This dilemma is magnified when it comes to SaaS products as customers can cancel at any moment and are no longer tied into longer term contracts. You can read more about the development of this changing relationship in our article: The Needlessly Complex History of SaaS, Simplified. In this section we’re going to look at what can be learned from the telecoms industry in order to better inform us of how to approach churn management in SaaS – and all businesses. We’ll take a look at the most effective techniques employed across the telecoms industry, as identified by McKinsey. Then we’ll contrast these traditional approaches with the proposed Harvard method to present different models for you to take inspiration from in your business. These best practices were identified by McKinsey as being in use by the companies which are most successful in managing churn. The use of these guiding principles will almost certainly help any business, with McKinsey claiming the overall benefit would typically amount to increased retention rates over the analysed companies of 15%. It’s vitally important to understand your customer in whatever industry you are in. What core problem are you solving for them? Why does your product or service solve that problem best? How do they typically use your service? What are their existing pain points? These are all fundamental questions any business will be asking as they continue to grow and develop. But these kinds of questions also need to be asked at the different points of a customer journey. Customers are not static; they develop and change over time. McKinsey advocate not only asking these questions but backing up your research into them with data and creating a holistic body of knowledge about your customer. Leading operators are structured and thorough in linking and aggregating disparate data sets to develop a full view of the customer over the entire decision journey—from acquisition and onboarding to upgrade cycles and eventual disconnect, if applicable. These data sets include customer profiles as well as product, offer, usage, and rebate history, and they include data from call centers, web logs, network experience, and pricing and promotions. Having a wealth of data on its own will get you nowhere. Your data is only as useful as your interpretation of that data. I remember chatting recently with a friend of mine working with a challenger bank in the UK, helping them transition from a loans company to provide full banking services. He was on a mission to bring as many analysts into the company as they had chairs for. An expert understanding of the programming language R was suddenly the most valuable skill in the industry. 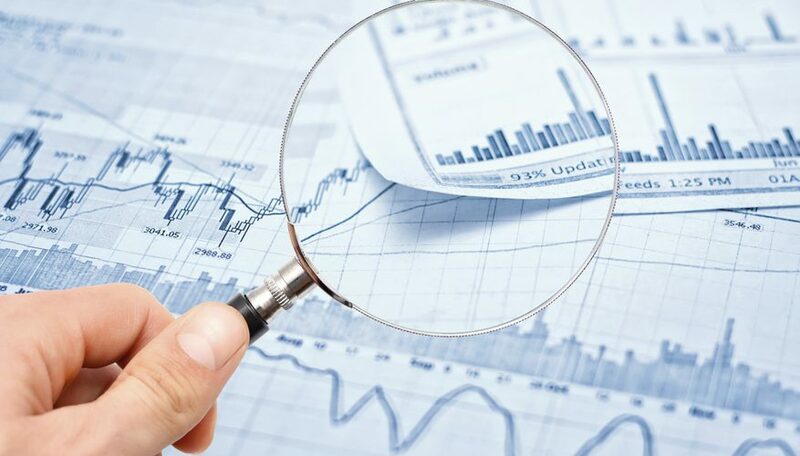 For example, a leading operator used an analytical technique called “feature discovery” to identify over 50 variables that contributed to customer churn, as well as their relative importance. These variables included specific thresholds, such as combinations of phone type, data usage, and call-center history that, once reached, reliably predicted customer attrition. One the analysts had pulled this information out of the data, the company can set about acting upon it. These findings can result in changes as big as strategy or as small as the details of call center procedure. The effective interpretation of the data you gather on your customers can help give you laser precision in targeting churn factors. One of the big factors McKinsey identified was the ethos behind why a company analyzes data. The paper holds that personalization of services should be a major aim for a telecoms company, and was an important ethos found in the most successful ones. In order to effectively personalize, McKinsey found that the companies with the best retention rates employed a rigorous process of segmentation and microsegmentation. This allowed for an aggregation of approaches on an increasingly focused and targeted level. Such a tailored approach requires a granular micro-segmentation of the customer base which is then matched to a broad, well-classified library of offers. One leading operator, for example, developed a library of over 50 offers and then set up a mechanism for rapidly launching and measuring the related campaigns. As a result, the company was able to reduced churn by 10–15% over the following 18 months. This approach can help you personalize your delivery while keeping costs lower. We’re always telling you about the importance of processes. We don’t shut up about it. Well now McKinsey are telling you about it too. The study found that the most successful companies used what the paper calls test-and-learn processes. Utilizing effective business process management techniques allows you to implement processes which can be optimized and eventually automated to appropriate degrees to improve your operations and workflows. We find that industry leaders employ agile working methods that divide these tasks into short phases with frequent reassessments and adjustments to ensure the best results. Building on these four shared approaches, McKinsey analyzed how these best practices had been, and could be, implemented into a business. Document standard operating procedures for analytics to be incorporated and used across teams. If you build analytics into your processes then provided those are followed you will be mandating an appreciation of analytics across your organization. Have a team who create and improve analytical approaches for other teams across the organization to employ. This allows for other teams to focus on their tasks and on generating value for the business. Utilize teams with an array of skill-sets to increase knowledge spillover within the organization. This should allow teams to be more agile and reduce bottlenecks caused by information being transferred from department to department. This McKinsey approach, informed by the churn management approaches of the most successful telecoms firms, seeks to build an organization which understands the customer as well as possible in order to be able to locate the key factors or identifiers for when a customer might churn. With this knowledge it is significantly easier to catch that customer in advance and attempt to taken the necessary steps to retain them. The approach put forward by Lemmens and Gupta appears to change the perspective by which we look at retention. Sunil Gupta is the Edward W. Carter Professor of Business Administration at Harvard Business School and Aurélie Lemmens is an associate professor at the Tilburg School of Economics and Management. And they think we’re looking at the problem wrong. Rather than looking for propensity to churn, the paper suggests treating existing clients like new leads in a sales process; judging them by opportunity to make money, rather than by the risk of losing money. [W]e move away from a score representing the churn of defection propensity of customer i to a score that now represents the targeting opportunity score of customer i. The two steps are not set up to maximize bottom-line profit of the retention campaign because they ignore a simple but important fact: Not all customers are equally important to the firm. Gupta’s evidence for these claims is that companies find it very difficult to effectively identify who will churn, and then invest resources into customers who either don’t make much money for the company or customers who are going to churn anyway despite the best efforts of the retention offers. There’s a slight comparison point to be made here in reference to Process Street. We don’t focus hugely on churn management. And there’s a reason for that. If a company are not making use of our services and are nearing the end of the billing cycle, convincing them to stay involves retraining them on the product to embed it into their business. It takes time to set up all your processes and to get your teams to use them. A company who haven’t made the most of the product after 10 months are unlikely to invest the necessary resources with only 2 months left on the annual plan. For Process Street, profit maximization is better achieved through pumping resources into effective onboarding strategies so that people can get as much value as possible from the product in their initial period of use. This makes the product more valuable for the customer and makes the customer more valuable to us. Everyone wins. For Process Street, it might not be a high-gloss brochure but instead a series of hours of a customer success manager’s time which could be spent on helping a new customer getting maximum value from our platform. 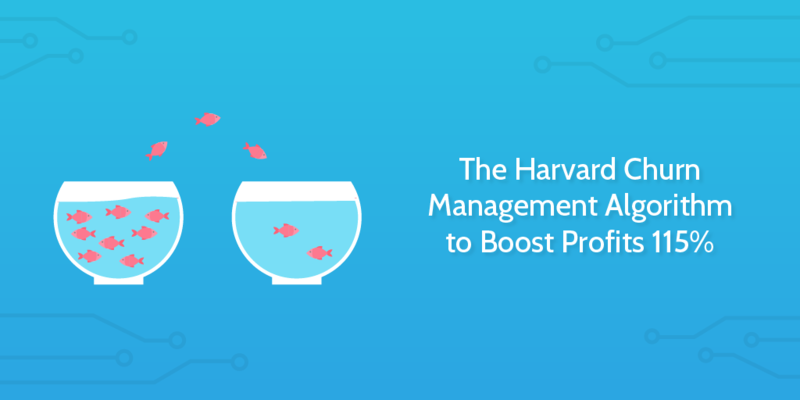 If you want to read the full paper to see the graphs, algorithms, and critiques of the model, you can access the Harvard paper here: Managing Churn to Maximize Profits. Given that we’re no longer trying to retain any and all customers if we employ the Harvard model, we could look at it through the perspective of upselling. The Harvard model might propose a break away from the traditional scattergun approach of churn management, but it isn’t at odds with the McKinsey approach. 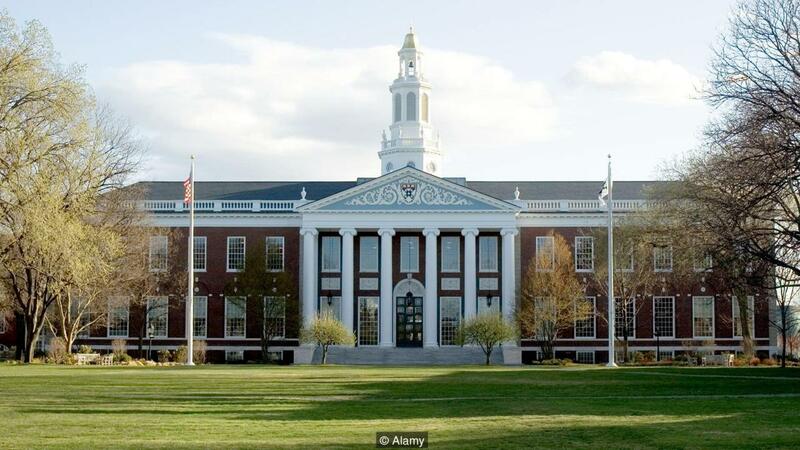 In fact, to execute the Harvard model effectively, the best practices and organizational structuring recommended by McKinsey would be hugely beneficial. They found that the approach led to, on average, a 115 percent improvement in profit compared to traditional targeting methods. These extra profits came with no additional implementation costs for companies. It seems like a no-brainer to give it a try! How do you approach churn management in your business? Let us know in the comments below!